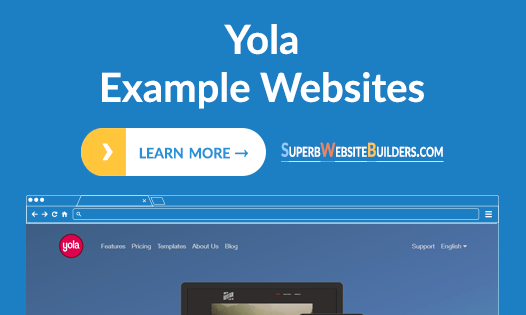 Yola – is one of the oldest representatives of the web design niche, which has been in the market since 2007. The system has changed a lot during these years, offering a variety of features and advanced web design tools that make it possible to launch different types of websites. The website builder works equally well for beginners and web design pros, who can find multiple options here. The platform is known for its eCommerce engine, lots of quality responsive templates and extensive code editing options that allow creating one-of-a-kind feature-rich websites. Wedding websites are a growing trend. It’s a way to not only spread news about your wedding, but also to share a bit of information on the couple and the logistics of the big day – everything that you can’t fit in the wedding invitation. Recently I was asked to make a collection of Weebly wedding website examples, and I must say it was a very tough task! 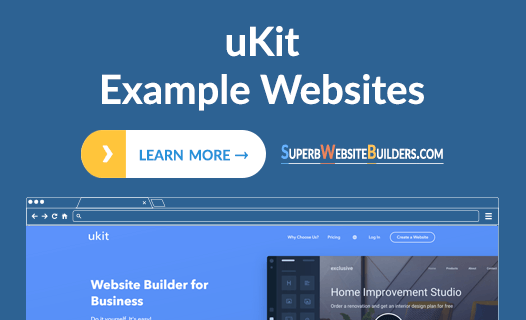 uKit is a powerful website builder with small business in mind. Today we bring you a collection of real websites created using this code-free site creation platform. When you build a site with user-friendly platforms like uKit, it’s easy to create a good web presence. But it’s both an art and science to make it effective. When it comes to online portfolios, it’s not just the examples of work that need to impress your potential clients, but it’s also the way they’re presented. The good news is you don’t have to be a coding champion to show your creativity and innovative thinking. With so many code-free tools like Wix, Weebly or uKit, you can create a beautiful portfolio without any coding knowledge. We handpicked some Wix-based portfolio examples for you to see how real DIY websites look like. Be inspired and inspire others! Drag-and-drop, hundreds of stunning templates, tons of powerful apps, mobile editor, secure hosting! That sounds great and enticing, but what do all of these elements look like when published? 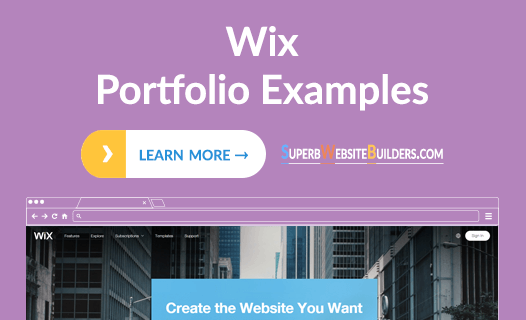 Users who are uncertain about choosing Wix to create their sites are often interested in seeing some real sites designed with this site builder before making their decisions, so today we take a look at different Wix-powered websites – from portfolios to companies, communities and stores. Ucraft is a cloud website builder, the sphere of application of which comes down to the development of business websites and landing pages. The platform is comparatively easy to use for people with diverse web design background, although, newbies may require more time to master the service and start building projects with it. 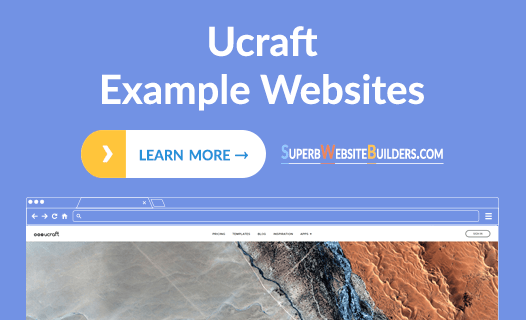 Ucraft makes it possible to create responsive websites that come with full-screen blocks, advanced web creation features and flat design. Having a website is not a whim, but a necessity for business owners, who wish to promote their companies on the web and increase their profitability. This especially concerns online stores that can help boost any business. While the need to launch a website may be urgent, not all business owners are aware of the basics of this process. 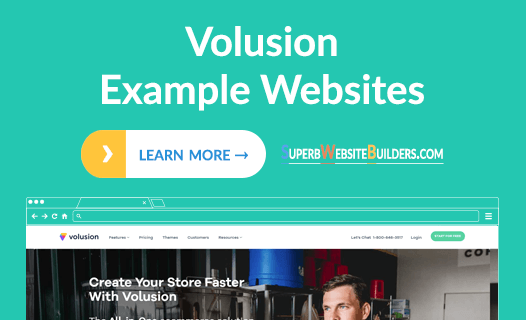 Volusion allows to create own webstore in a short time. There are two main reasons people use the Internet: to share things and to be informed. Thankfully, with modern code-free site builders, you don’t need a programming degree to design your own website and start sharing with others. You just need an interest and passion. Today, we want to showcase some of the wonderful DIY websites created using Wix website builder. 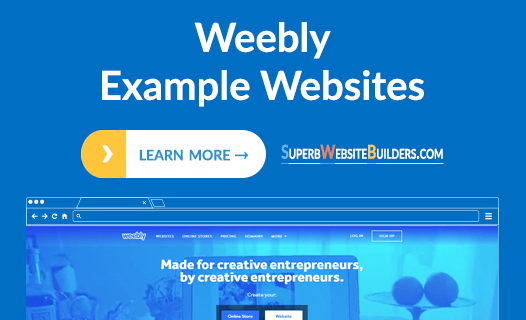 Weebly is undoubtedly one of the easiest ways to start a quality website in a matter of minutes. 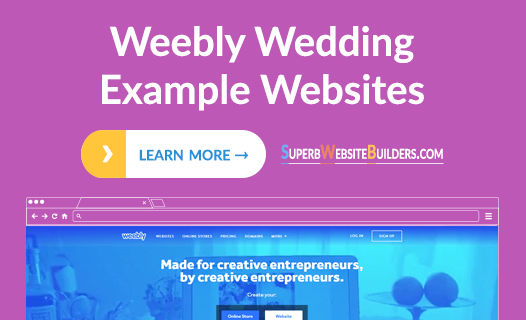 Many choose Weebly for its simplistic, widget-based in-browser editor that requires no programming experience at all. Founded in 2006 by three 22-year-old students, this drag-and-drop site constructor is now hosting over 50 million websites all over the globe. So let’s take a look at some of the Weebly website examples 🙂 .